Meteor House » Win Scott Eckert to join Christopher Paul Carey for book signing on Wold Newton Day! Win Scott Eckert to join Christopher Paul Carey for book signing on Wold Newton Day! Once again our book signing plans have been changed. Due to delays at the printer, and holiday schedules, Win Scott Eckert will not be able to sign the Hardcover Limited Edition of The Scarlet Jaguar before Thanksgiving as originally planned. Instead he will travel to Meteor House HQ the weekend of December 12th and 13th (the 220th anniversary of the Wold Newton Meteorite) and sign The Scarlet Jaguar alongside Christopher Paul Carey signing The Song of Kwasin. Win Scott Eckert and Christopher Paul Carey in the same place on Wold Newton Day? This could be historic, who knows what might come out of this confab! All the preordered books will then be mailed out a few days later, so most customers will get them before Christmas (international orders will go out on Monday the 14th). As always, the print runs of our Signed Limited Edition books are set by the number of preorders, with just a small number of extra copies printed. 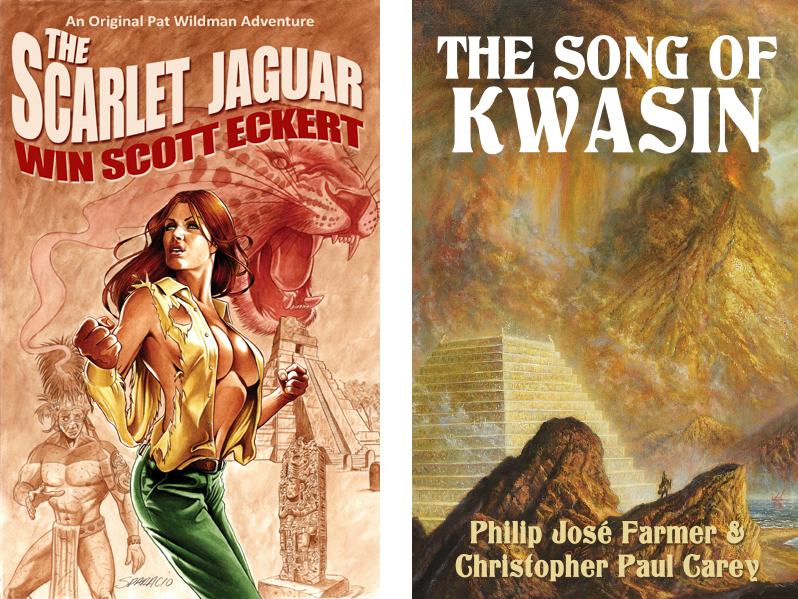 Right now both The Scarlet Jaguar and The Song of Kwasin could be sold out by the end December, so get your order in asap if you have not already! Comments Off on Win Scott Eckert to join Christopher Paul Carey for book signing on Wold Newton Day!